Shims for front end alignment. 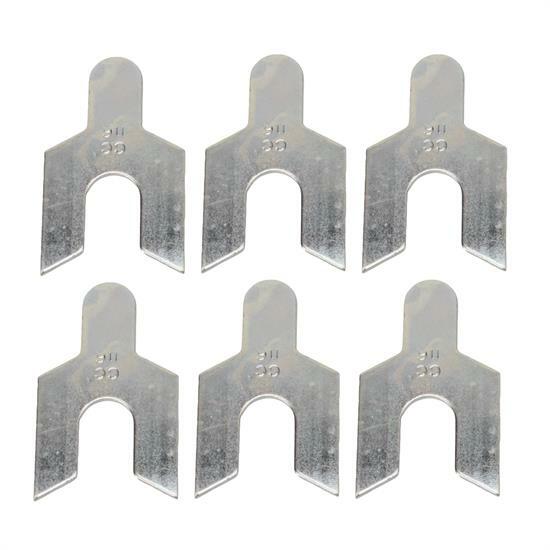 Set of twelve shims includes two different thickness. 6) 1/8" and 6) 1/32"